Multiple batteries can be connected in two main types of circuit; series and parallel. The ways in which they are connected to each other determines the available charging options. Batteries linked in series cannot be charged in the same way as batteries linked in parallel, and different numbers of batteries may require different types of charger. With a basic understanding of the difference between series and parallel connections, anyone equipped with the right battery charger can safely charge multiple lead-acid batteries. Confirm that the batteries share a parallel circuit. Batteries linked in parallel have all the positive terminals connected to one wire, and all the negative terminals connected to another wire. The overall voltage remains the same regardless of the number of batteries, but the current capacity of the batteries is cumulative. For example, six 12-volt batteries linked in parallel will still provide 12 volts, but the battery will last six times longer than a single battery. Connect a battery charger across the positive (+) terminal of the battery at one end of the row, and the negative (-) terminal of the battery at the other end of the row. This ensures an even charge through all the batteries. If this is not possible, connecting across one battery works, but is less efficient. Multiply the time anticipated to charge one battery by the total number of batteries. For example, if charging one battery normally takes three hours, and you have five batteries linked in parallel, the charging time will be five times three hours, or 15 hours. Determine the total voltage of the batteries. When linked in series, the voltages of the batteries are cumulative but the current remains the same. For example, five 12-volt batteries linked in series have a total voltage of five times 12, or 60 volts. Charge up to five batteries using a single charger designed to provide a higher charging voltage. These are available in 12-, 24-, 36- , 48-, and 60-volt models. A 60-volt charger will recharge five 12-volt batteries. 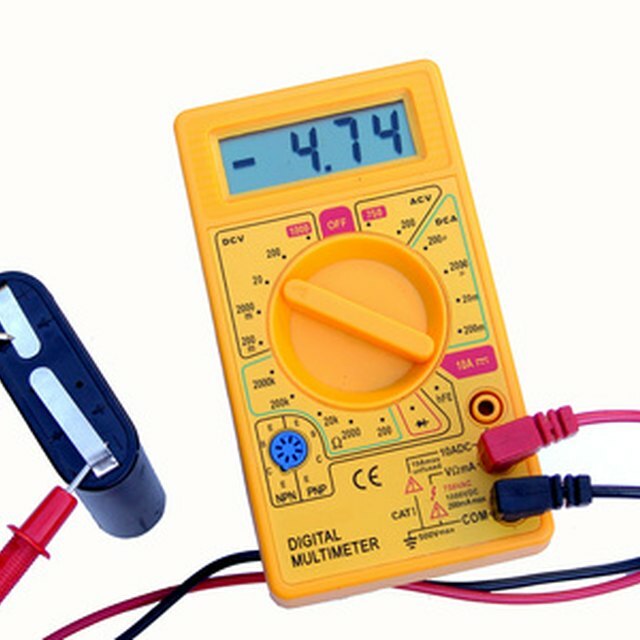 Connect the appropriate voltage charger across the positive terminal at one end of the series and the negative terminal at the other end of the series. Charging time will be the same as charging a single battery. Charge more than five batteries by connecting one 12-volt battery charger across each battery in the series, as if each battery were the only one being charged. Charge all the batteries at the same time. Charging only some of the batteries will result in batteries attempting to equal out the power and charging each other. This will damage the batteries. Check the level and specific gravity of electrolyte in the battery cells before charging the battery. Clean battery terminals and good fitting charger leads will reduce the charging time and save energy. 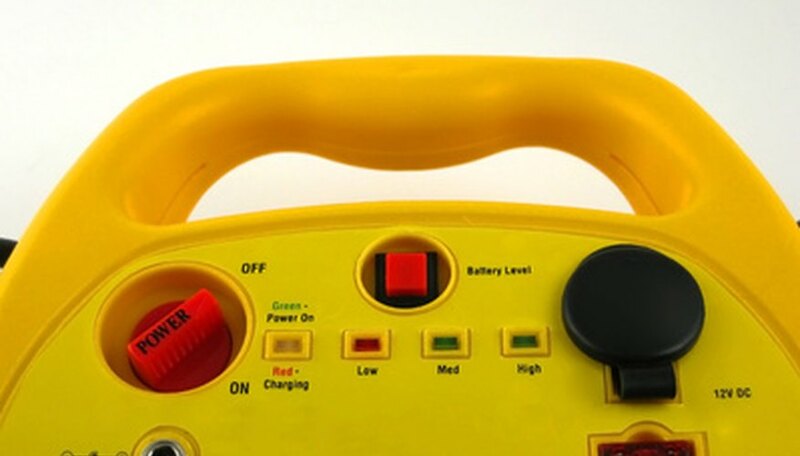 Several 12-volt batteries in series can produce voltages capable of causing injury or death. Be extremely careful when dealing with high voltages. Charge all batteries linked in series together to avoid overheating and damage to individual batteries. To charge a single battery, disconnect it from the others. Charging a battery with excessively low electrolyte levels may give false readings, or cause damage to the battery. Robinson, David. "How to Charge Multiple 12-Volt Lead Acid Batteries." Sciencing, https://sciencing.com/charge-12volt-lead-acid-batteries-7779535.html. 25 April 2017.